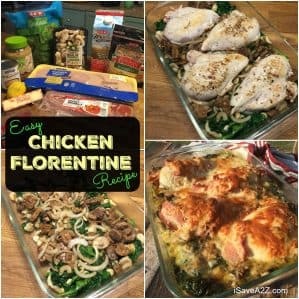 I call this my Easy Chicken Florentine Recipe because it really doesn’t take that long to put it all together. As long as you plan ahead and get all the ingredients you need, it should be a cinch! I think out of all the meats we cook for dinner, chicken tends to be the most popular with my family. The only thing is… chicken can get boring when you eat it as often as we do. 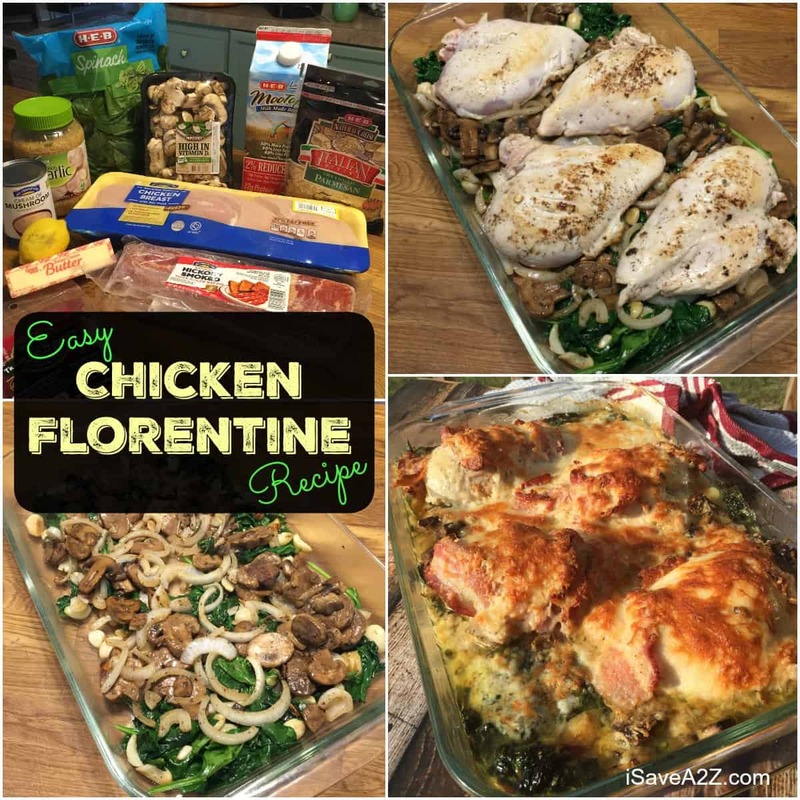 This chicken florentine recipe is a perfect way to add a ton of flavor to you chicken to make it less boring. My family loves it and I’m sure your family will also. Start with a large rectangle baking dish. I always use my favorite Pyrex baking dish. 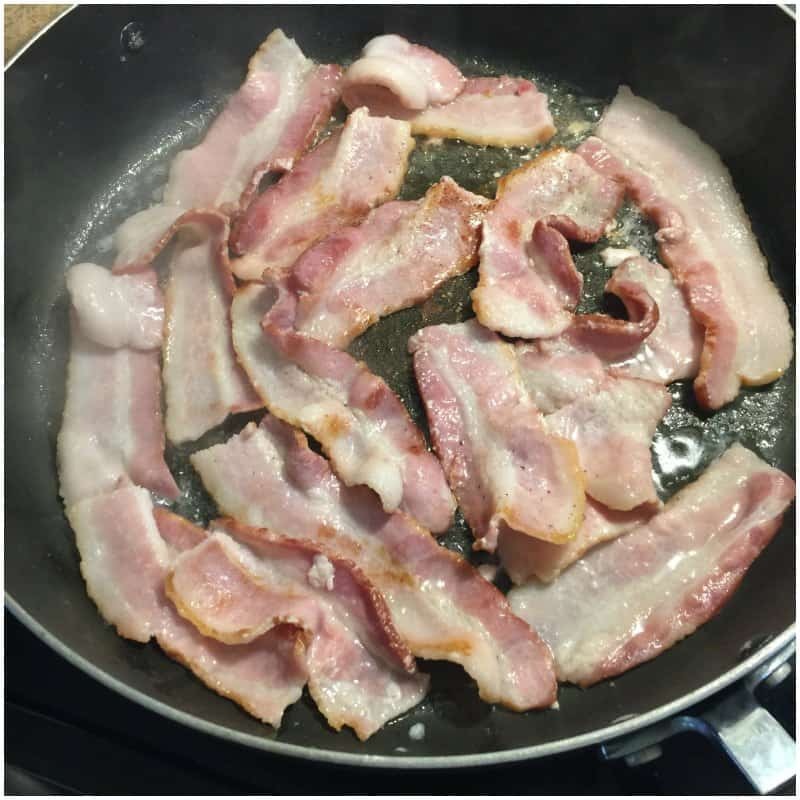 I begin to fry a few slices of bacon first. With the bacon grease still in the pan, I start to fry my chicken breasts sprinkled with a little bit of pepper on medium heat. I brown the chicken breasts in the bacon grease on both sides. I don’t cook them all the way through though. I cook them for about 3 minutes on each side. I should mention that this step can be optional. You don’t have to brown the chicken. I prefer the extra flavor it adds so I take the time to do this step. You can skip this step and add an extra few minutes to the baking time at the end if you prefer. I start chopping the onions and mincing the garlic. Next, I add a bit more olive oil to the pan and start to cook the mushrooms, onions and garlic. When it’s just about done I add a bag of fresh spinach on top. I make sure to have enough olive oil to cover the bag of spinach I just added to the frying pan. Cook the spinach just enough for it to be wilted but not cooked all the way through. It will cook more in the oven. 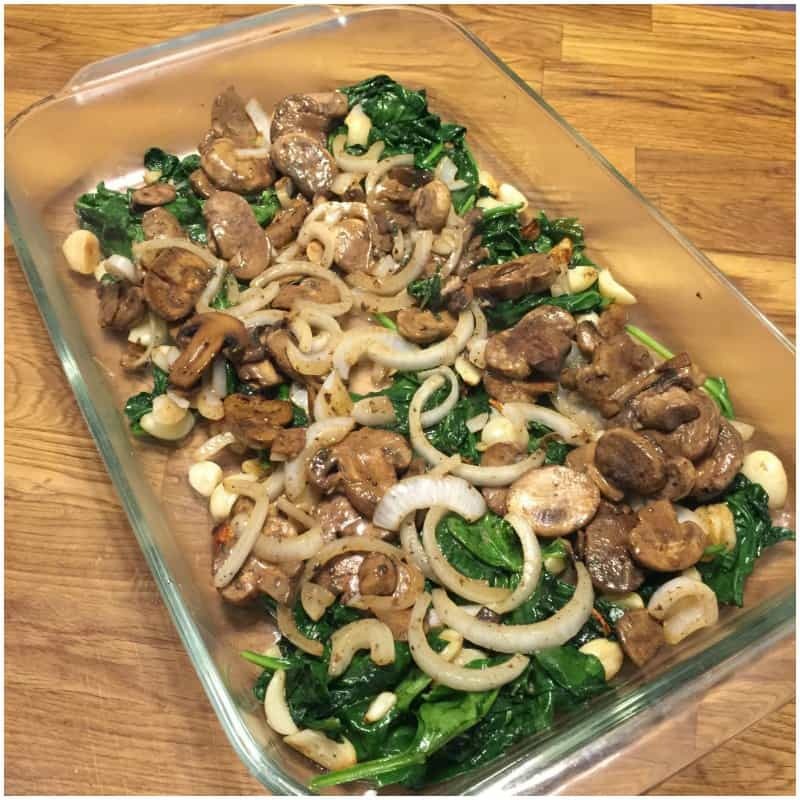 Add the spinach, onion, garlic and mushroom mix to the bottom of the rectangle baking sheet first. 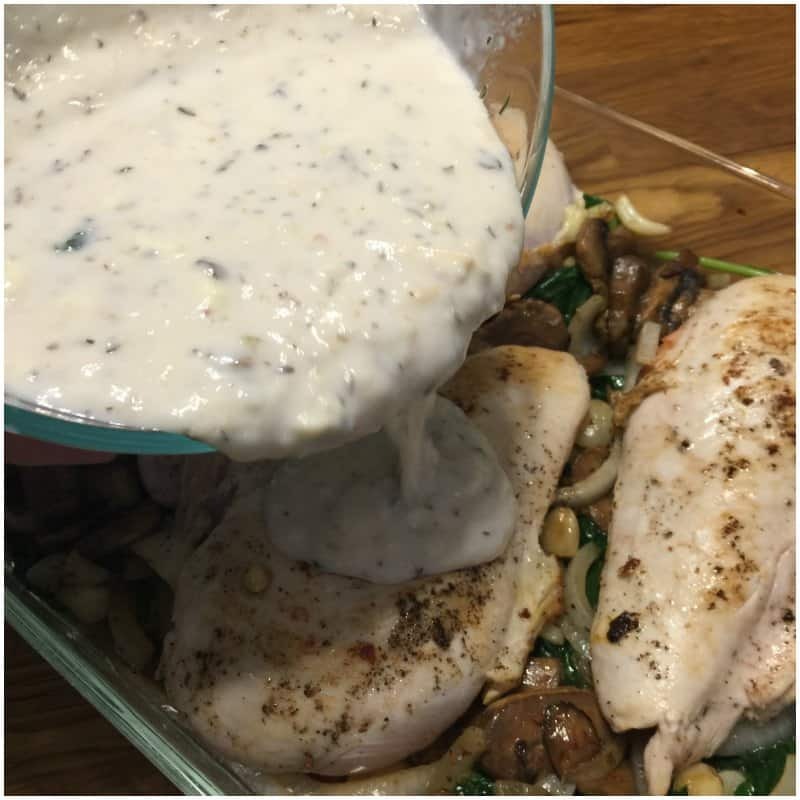 After you dump the ingredients from the frying pan into the baking pan you can use the same frying pan to combine the cream of mushroom soup, half and half cream (or milk if you prefer), lemon juice, Italian seasonings and Parmesan cheese. The pan will still be a bit warm and this will help the ingredients heat and smooth out a bit. Mix it until all the ingredients are well combined. 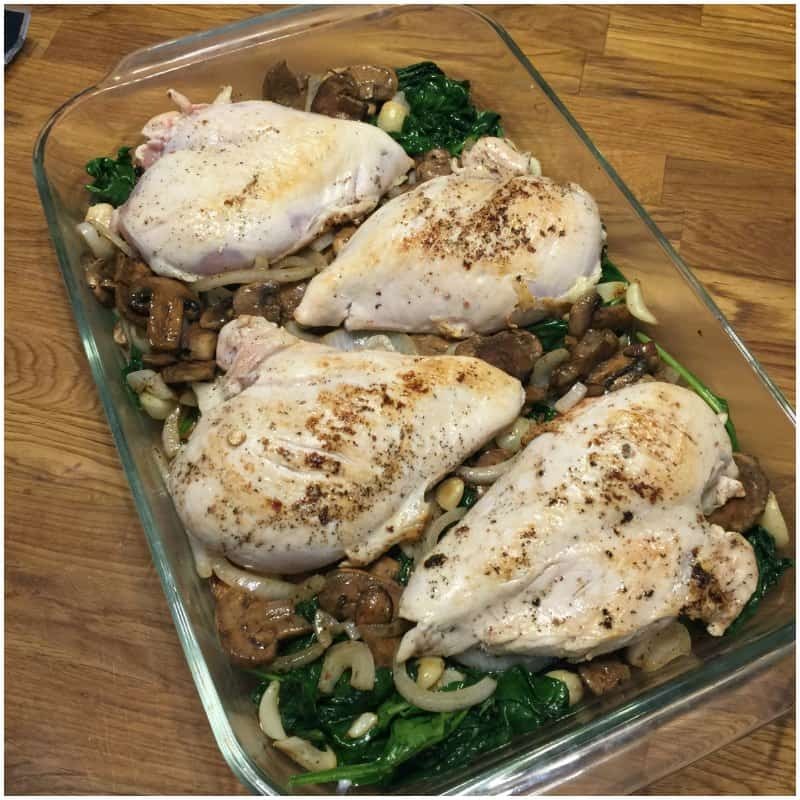 Add the partially cooked chicken breasts on top of the spinach and mushroom mix in your baking sheet. Pour the sauce you just make over the top of each chicken breast making sure you cover each piece. 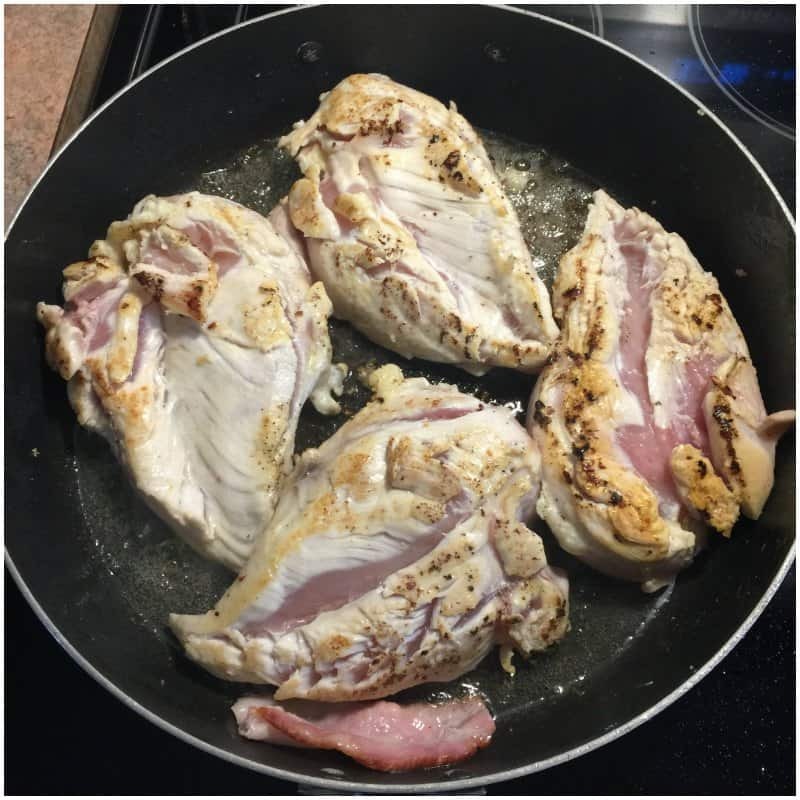 Cover the chicken breasts with the bacon you cooked in the beginning. 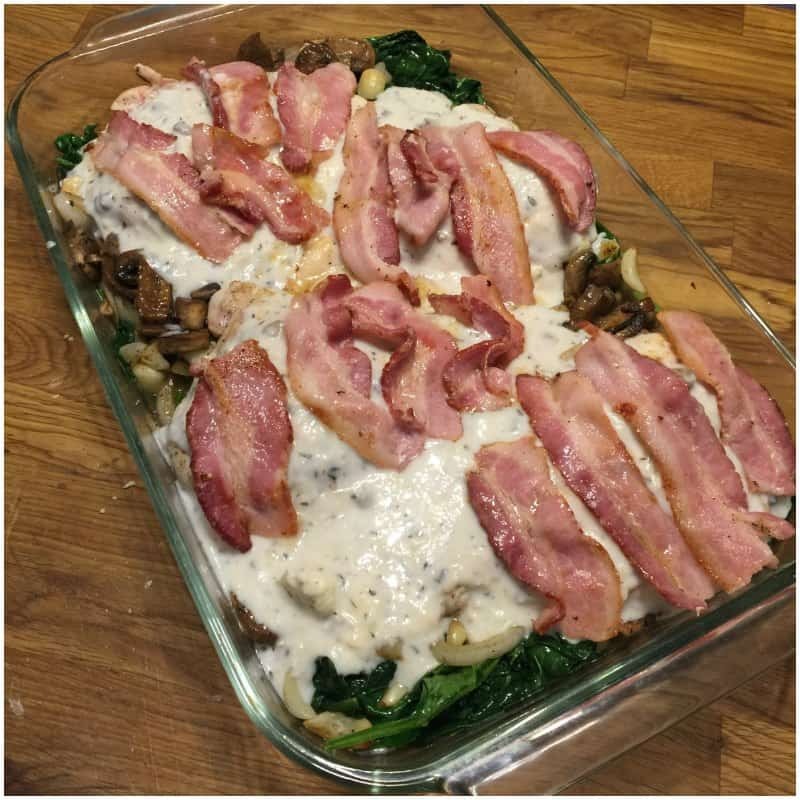 I sprinkle 1 cup of the mozzarella cheese over the top of the chicken florentine dish, cover the dish with tin foil and cook it for about 30 to 40 minutes. I make sure the chicken is cooked all the way through. 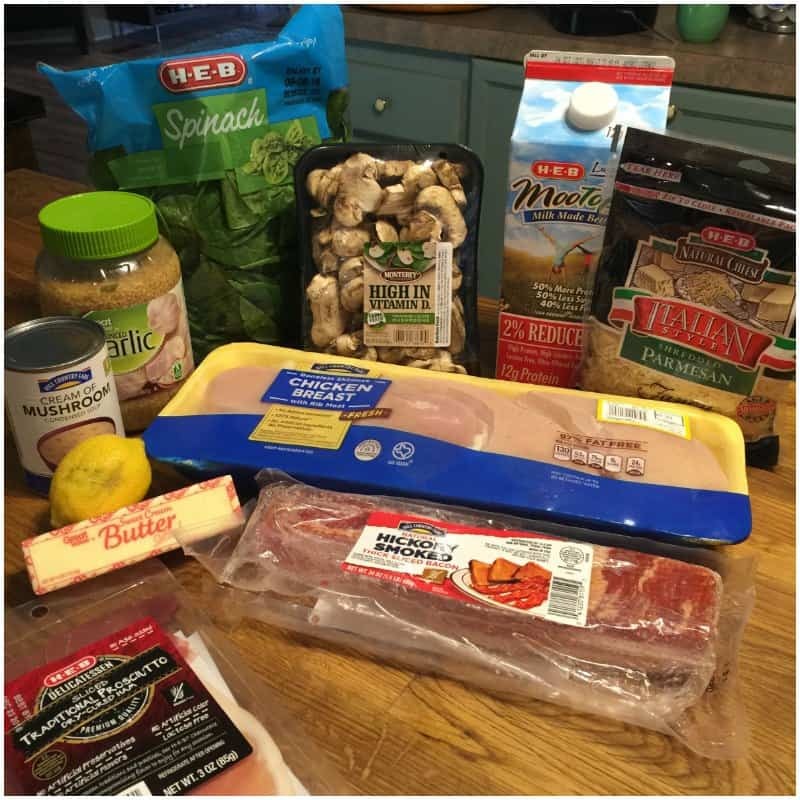 The time could be different for you depending on how thick your chicken breasts are. 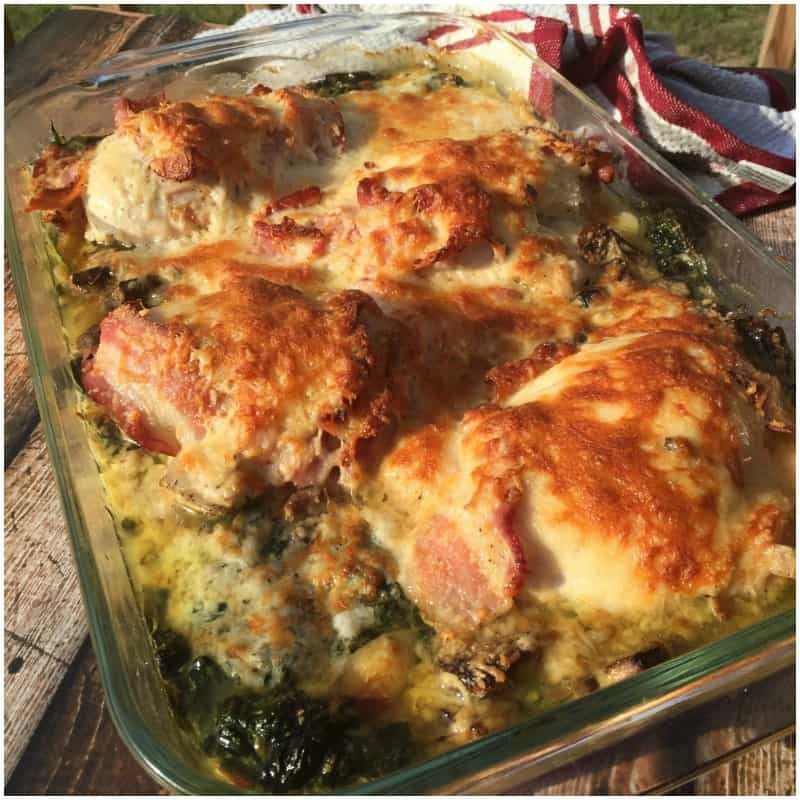 Lastly, I sprinkle the last cup of mozzarella cheese over the top of the chicken florentine dish and cook it uncovered for about 5 to 10 minutes. Just enough for the cheese to have a nice golden brown color to it. This dish tastes amazing all by itself or you can serve it over angel hair pasta or mashed potatoes. Both ways are pretty amazing! With the bacon grease still in the pan, I start to fry my chicken breasts sprinkled with a little bit of pepper on medium heat. I brown the chicken breasts in the bacon grease on both sides. I don't cook them all the way through though. I cook them for about 3 minutes on each side. I should mention that this step can be optional. You don't have to brown the chicken. I prefer the extra flavor it adds so I take the time to do this step. You can skip this step and add an extra few minutes to the baking time at the end if you prefer. 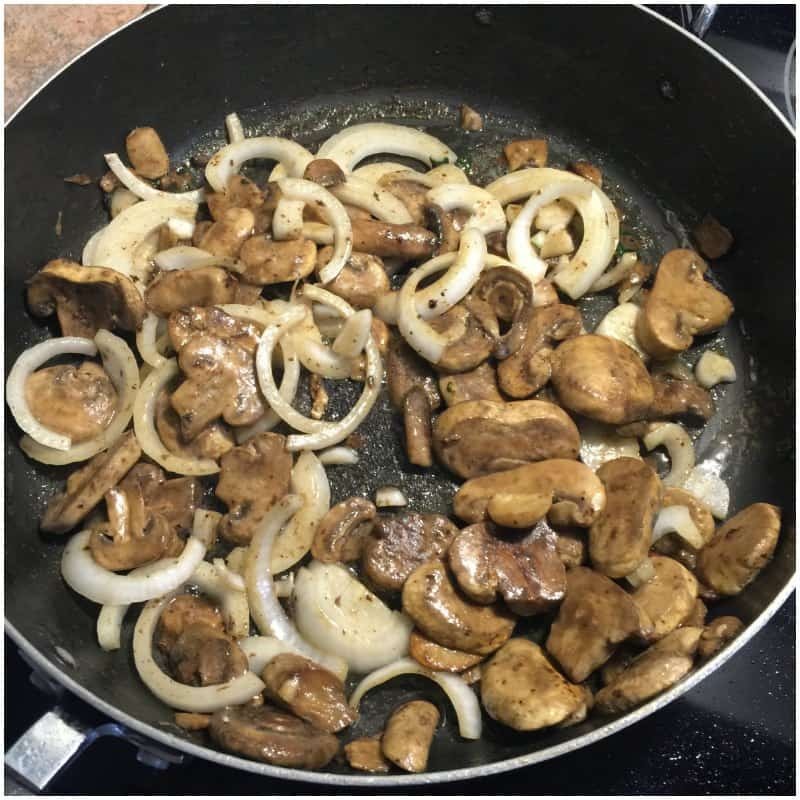 Next, I add a bit more olive oil to the pan and start to cook the mushrooms, onions and garlic. When it's just about done I add a bag of fresh spinach on top. I make sure to have enough olive oil to cover the bag of spinach I just added to the frying pan. 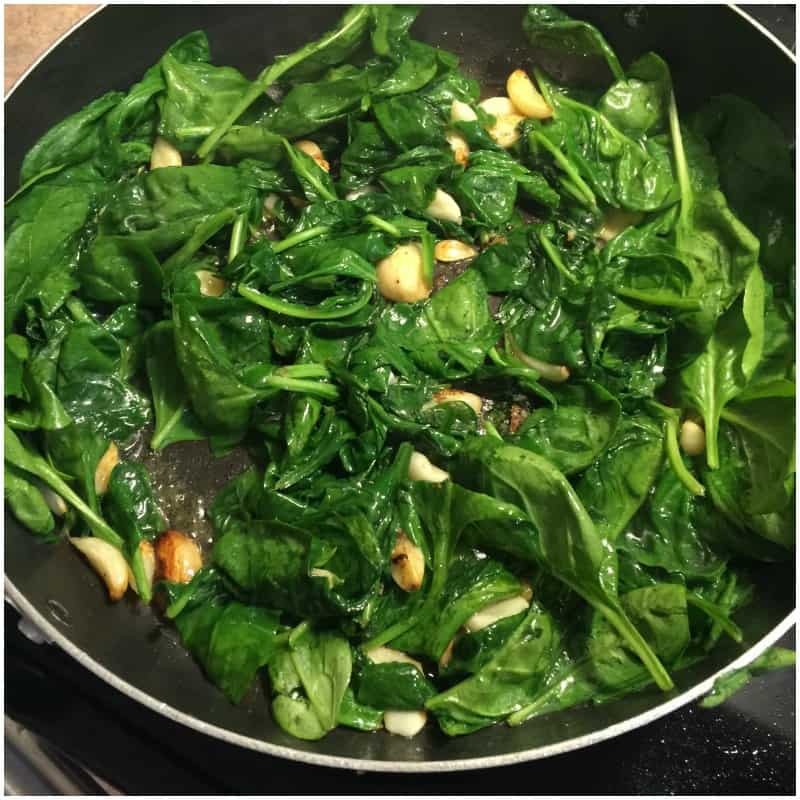 Cook the spinach just enough for it to be wilted but not cooked all the way through. It will cook more in the oven. 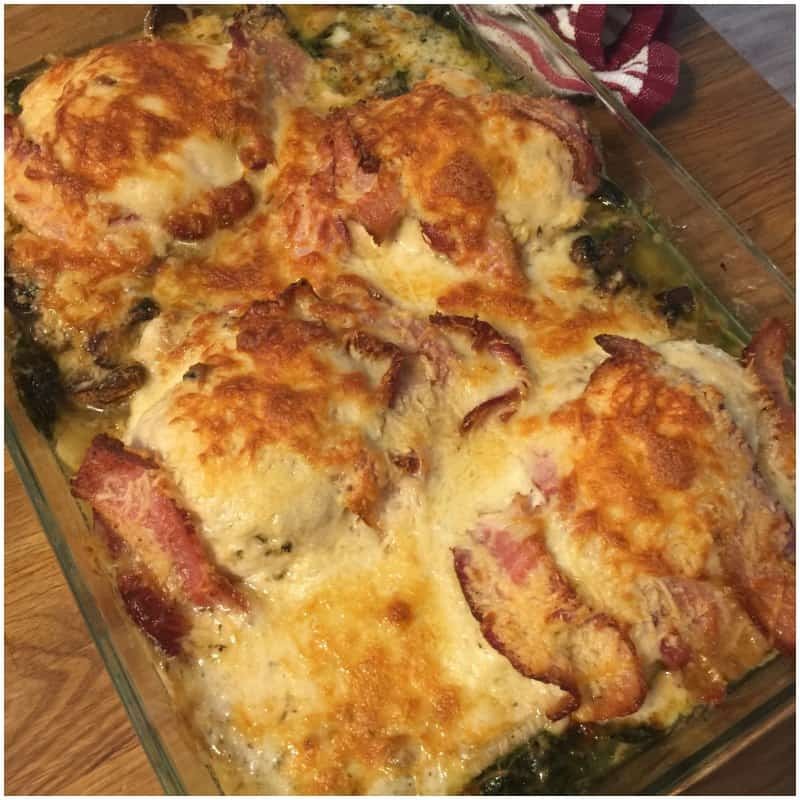 By Jennifer on September 3, 2016 Casseroles, Chicken recipes, Main Dishes, Recipes.